BRANDON, Man. – The relationship between music and community will be examined by a new research institute at Brandon University (BU). The mission of the Institute for Research in Music and Community (IRMC) is to explore issues such as how communities develop around music, how music emerges from communities, and how communities use music to fulfil their needs. The IRMC is in the process of establishing a series of thematic initiatives that will result in live performances, audio productions, publications, conferences, and the development of the Institute’s website. A number of faculty members in the School of Music already undertake research that relates to the general theme of music and community. Many factors can influence musical communities, including changes in society, musical style, the environment, and technology. One of the IRMC’s first projects will be an open forum discussing a new breed of music lover known as omnivorous listeners. 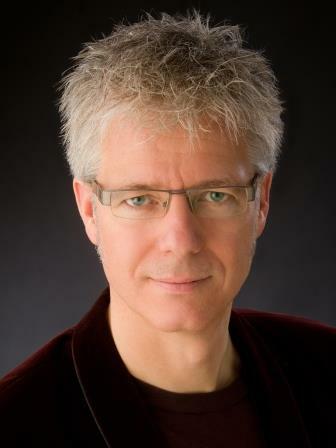 T. Patrick Carrabre is the founding Director of the Institute for Research in Music and Community. “It used to be that people generally listened to one specific kind of music,” says the IRMC’s founding Director, T. Patrick Carrabré. The project will begin with a series of blogs following the listening habits of IRMC researchers and will then be opened up for discussion about how contemporary listeners find their music in the post-iTunes world. Another project in progress that will fall under the auspices of the Institute focuses on how communities use music to tell their histories. For the past two years, Colette Simonot-Maiello has been collecting music about or inspired by Louis Riel and has been examining how music written in the past 130 years since Riel’s death has shaped how different communities tell their story of Riel.